Eugene Nees has devoted his 30+ year career to assisting small and large businesses in maximizing performance through the recruitment, retention and best utilization of their greatest asset: PEOPLE. Prior to forming BNG, Gene served as a senior partner in one of the world's top ten ranked multinational executive search firms. His devotion to working closely with his clients led to a 100% completion record for senior management, and C-level search engagements in a wide array of industries. Gene served for ten years as Vice-President, Executive Staffing for The Dun & Bradstreet Corporation, and as such, he was the focal point for the corporation's global executive talent sourcing. As a member of the Office of the Chairman, he worked closely with corporate and operating company management on developing selection standards and recruitment strategies for global leadership positions. Gene personally managed recruitment of executive officers in Japan, Europe and the United States. When D&B's Board decided to split the company into three separate NYSE listed companies, Gene was asked to lead the talent sourcing to staff the new corporate structures. Within nine months the new organizations were operational. Gene was invited to join Dun & Bradstreet while conducting three high level executive searches on their behalf. He was, at the time, Vice-President of Halbrecht Associates, a leading search firm concentrating in information technology management. 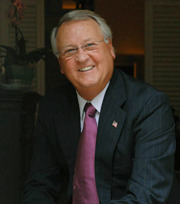 His previous professional experiences included International Director of Human Resources for Beecham (now GlaxoSmithKline); Director of Personnel and Manpower Planning for Meldisco, a division of the Melville Corporation; and Personnel Staffing for the MITRE Corp.(holding a "Q" level national security clearance). He began his career in human resources with the Marriott Corporation.